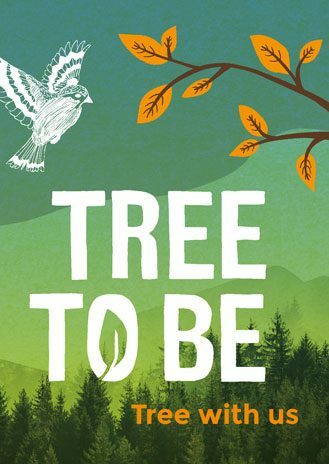 Tree to Be is a world-wide movement. The movement wants to raise awareness of the fact that the earth the source is of all life, and that we must live our lives hand in hand with respect, attention and consideration to nature. The starting point of Tree to Be is respect of nature. When people (re)experience their connection with nature, we again can live in harmony with the natural world. Tree to Be concentrates on trees, because trees play a crucial role in our climate and environment. By planting trees we can make big strides in recovering a balance for a healthy future for all.